The Year 1 Writer of the Week is Evie! Evie produced an outstanding piece of writing in her writing assessment this week. Well done Evie! Year 3 Writer of the Week! Tonye produced an outstanding piece of writing based on the Literacy Shed video 'Something Fishy'. We are very impressed by her progress in writing this half-term, keep it up! Fifi is Year 5's writer of the week! She has written an outstanding piece based on the video 'Something Fishy'. Amazing effort, keep up the brilliant work! Hollyrose (Y6) has had an amazing week this week, improving and redrafting her work. She has worked hard to include a range of sentences and adverbials. 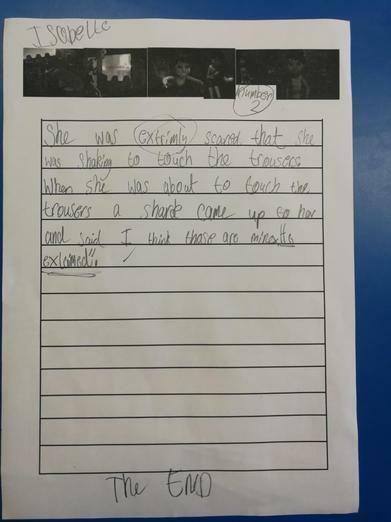 Year 4 - Well done to Genesis for writing a very exciting story in literacy! Year 2 writer of the week this week is Isobelle for her excellent narrative about an interesting experience a woman had at the laundrette. She used creative language and a great selection of sentence starters. Well done! The Year 1 Writer of the week is Scarlett! Scarlett has shown great pride in her work this week writing a detailed, neat list for the Wild Things to follow. Well done Scarlett! Year 2 Writer of the week: Alexander. He has produced an effective advertisement to sell the Necklace of Raindrops. Alexander used bright colours and excellent persuasion in his poster. Well done! Year 3 Writer of the Week! Rosie has written a stunning alternative version of the classical 'Hansel and Gretel'. She worked very hard to change the ending so that the main characters end up in the strange, monochrome forest found in Anthony Browne's 'Into the Forest'. Year 4 - TJ for a fantastic improvement in the presentation of his work. Your handwriting has improved so much, well done! Year 5 - Kalim is this weeks writer of the week! 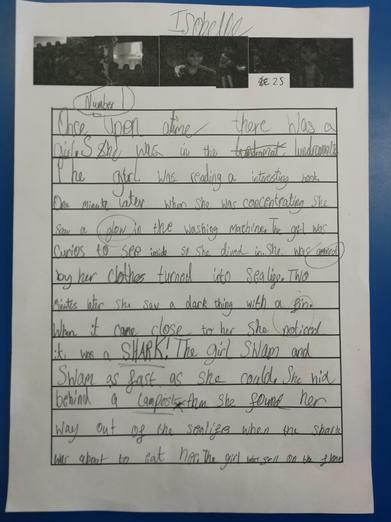 A fantastic persuasive piece of writing based on the class novel of Pig Heart Boy. Can he convince the reader the reader to give the character the pig heart? Zach (Y6) - Narrative linked to The Viewer by Shaun Tan. Zach worked really hard to use powerful vocabulary, varied punctuation and a range of sentence types to make his story engaging. Well done Pauline for being the first child in year 4 to receive a pen license! Year 5 - Writer of the week is Georgia. What a fantastic diary entry from a characters perspective! Brilliant writing.